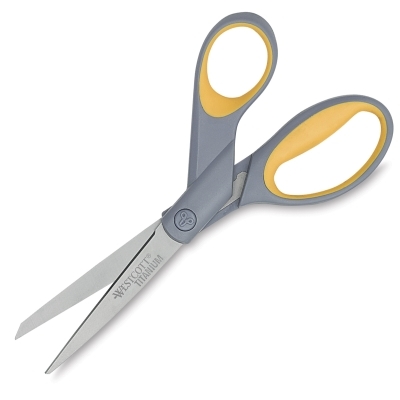 Westcott Titanium Bonded Scissors are lightweight yet durable enough for any cutting job. They're corrosion-resistant and resist the stickiness of tape and glue. ® Westcott is a registered trademark.® Titanium Bonded is a registered trademark.